The BFREE Biological Research Station and privately protected area in southern Belize host numerous student study abroad courses, volunteers, researchers and scientist from around the world each year. Our remote location in the rainforest means our visitors must unplug from their devices and aren’t able to instantly share their experiences with the rest of the world. We are excited to announce the launch of @BFREEBZ Instagram Takeover: Sharing Real Experiences from the People & Wildlife at BFREE. Now our visitors are given a chance to share their stories and photos once they have returned home and bring us along as they reminisce on the good, bad and beautiful! Learn about the real experiences, obstacles and adventures had by these visitors through the stories and photos they share directly to our account. Like their photos, ask them questions, follow along! @BFREEBZ INSTAGRAM TAKEOVER FEATURING JUSTIN BROWN! Our first participant is Justin Brown from Williamsburg, Kentucky. 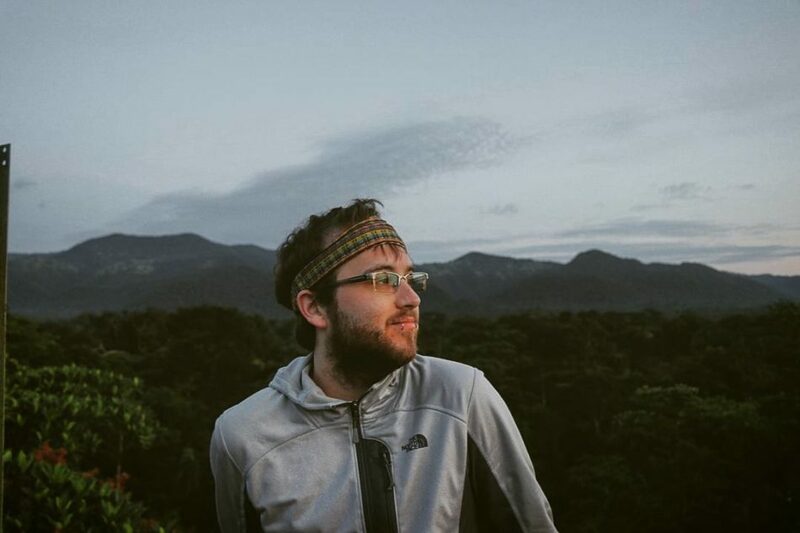 Justin recently visited Belize on a field course through the biology department at the University of the Cumberlands where he is currently a student. His group spent a week at BFREE where they study rodent populations in the shade-grown cacao agroforest. We asked Justin a few questions so we could all get to know him a bit better. Check out what he had to say about his time in Belize below and be sure to follow along on Instagram at @BFREEBZ beginning tomorrow to catch all of his photos until Friday! What was your favorite part about the trip and why? I honestly don’t know if I could pick a favorite part. I really did enjoy myself quite a bit. I absolutely love nature and wildlife, and I think the amazing diversity of plant and animal life that I saw was just spectacular. Walking through the forest and suddenly hearing a howler monkey, or seeing tapir tracks, or catching a beautiful bird fluttering across your path is one of the things that makes BFREE, for lack of a better word, magical. Another thing I really enjoyed, and I think is overlooked, was “unplugging.” The fact that there was no way I was going to get service or Wi-Fi no matter where I went, was actually kind of relaxing. I wasn’t constantly checking my phone, the news, or my bank account, and I swear my blood pressure was the lowest it’s been in years! What did you learn while you were there and how do you hope to further use that knowledge? I learned plenty about ecology, conservation, and the difficulty faced by those who are trying to conserve our rainforests and biodiversity. It’s made me want to be a much more active participant in fighting for our natural habitats rather than just an armchair activist. I also learned a lot about the rewards of hard work and persistence. There were many a morning that I didn’t want to get out of bed and start hiking and checking rodent traps, but I did and I never regretted it. I was always rewarded by a novel animal sighting or a beautiful moment like the sunrise hitting the canopy. It was always worth it to keep going. What was your favorite animal? That’s a really tough question. I think I liked all of them. Hearing the howlers was amazing, and seeing a blue-capped motmot with its tail that looks like something out of Harry Potter was quite awesome too. If I had to pick though, I would have to go with the boat-billed heron. It was like looking at a creature that Dr. Seuss dreamt up; they were something else. They look like a bird with a sunflower seed for a beak, coal for eyes, and like they wear a toupee. Not to mention, the sound they make is kind of comical as well. They were just fun creatures to watch. What was your favorite plant or tree? Same here. The plants were just beautiful and very much bountiful. I think it would be between the gumbo-limbo tree and the heliconia flowers (or lobster-claws). The gumbo-limbo tree sheds its bark, and it honestly looks like thin, red paper. But I think the heliconia would be my favorite. Besides being beautiful, hanging flowers, it’s a favorite of hummingbirds. So not only do you get to look at a gorgeous set of flowers, if you wait by long enough, you can also watch some hummingbirds. Oh goodness, if they would have given me some clean clothes, I probably would have stayed another week. I definitely want to go back. I also feel that I would be better prepared with what I know to expect now. I want to go back as soon as I can. Thanks, Justin! 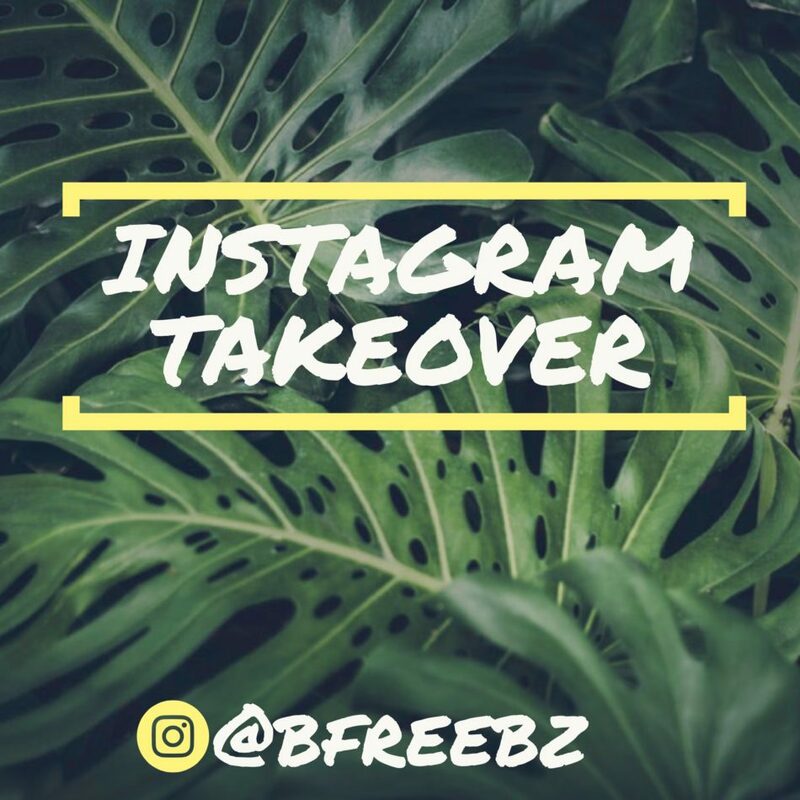 We can’t wait to learn even more about you and your time at BFREE during your @BFREEBZ Instagram Takeover from February 13-16, 2018! How it works: Starting on #TakeoverTuesday a selected participant will gain full access to the @BFREEBZ Instagram account. They will share for the rest of the week personal stories along with the photos they took while in Belize. Like their photos, ask them questions, and learn about the people and wildlife that make our special place in the rainforest so unique.